In partnership with the Delaware Valley Chapter of the Project Management Institute (PMI), the Fox School of Business – the largest, most comprehensive business school in the greater Philadelphia region – offers Project Management Professional (PMP) certification classes in the Fall and Spring. Classes are held at Temple University's Center City Campus conveniently located at 1515 Market Street, easily accessible by public transportation. Participants get discounted parking and all course material is provided as part of the registration fees. 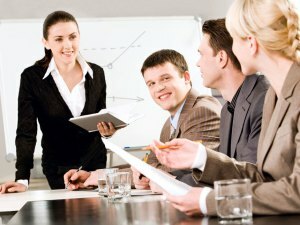 All instructors are members of PMI-DVC and are certified PMPs with extensive real-world project management experience. Classroom materials (included as part of program fees) are based on PMI's A Guide to the Project Management Body of Knowledge (PMBOK Guide) – Sixth Edition. PMI Certification is appropriate for managers of all education and skill levels and offers benefits to managers no matte where they are in their career. *PMI members and Temple employees must be verified by the appropriate parties to obtain the code for PMI/ Temple employee pricing.